Relocating from Atlanta to San Francisco in 2009, one thing I’ll always remember is seeing so many vintage Volkswagens not long after we crossed the CA line. It was as if the golden state was giving us a “welcome home” hug. It was only a few months later that my own ’67 was on a trailer headed in our direction. We now live on the East Bay island of Alameda. I’m here to tell you that ’67 VWs are everywhere. The above L456 Ruby red ’67 recently sold. It has a larger motor (I drove it once) but other than that is fairly stock. The L282 Lotus white ’67 below is an unknown gem. It’s sat parked as long as we’ve lived here. I’ve considered leaving a note to find out if the owner wants to sell. There’s something about seeing the horn grills in the right location, along with original German bumpers in both front and rear that really get me excited. The fender beading and running boards are even original! Hello. 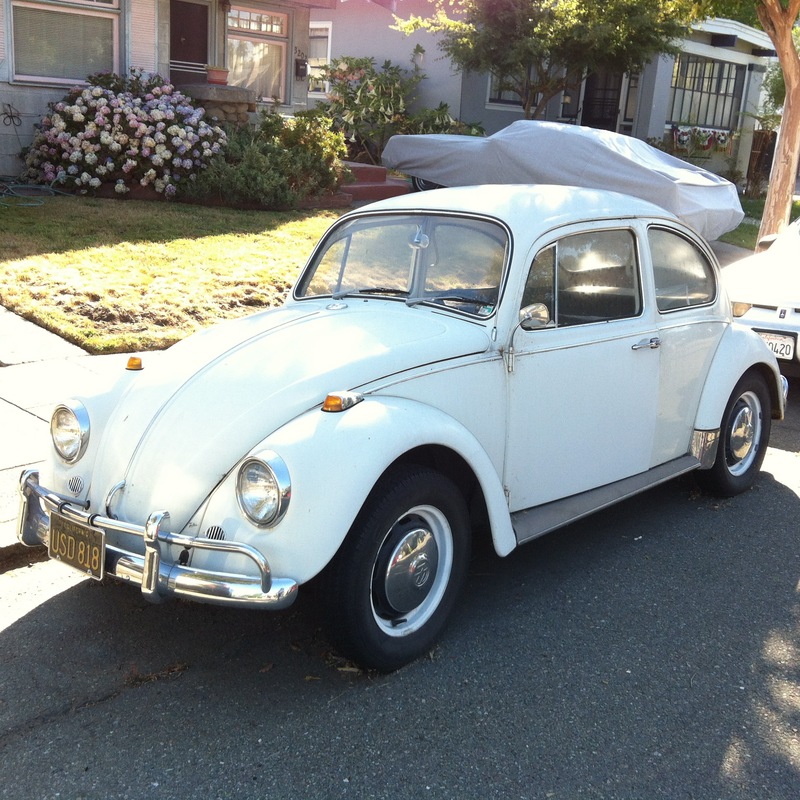 Im also in Alameda with a 68 Beetle. Actually looking to sell it but dont know the right place. Any help outside of Craigslist? 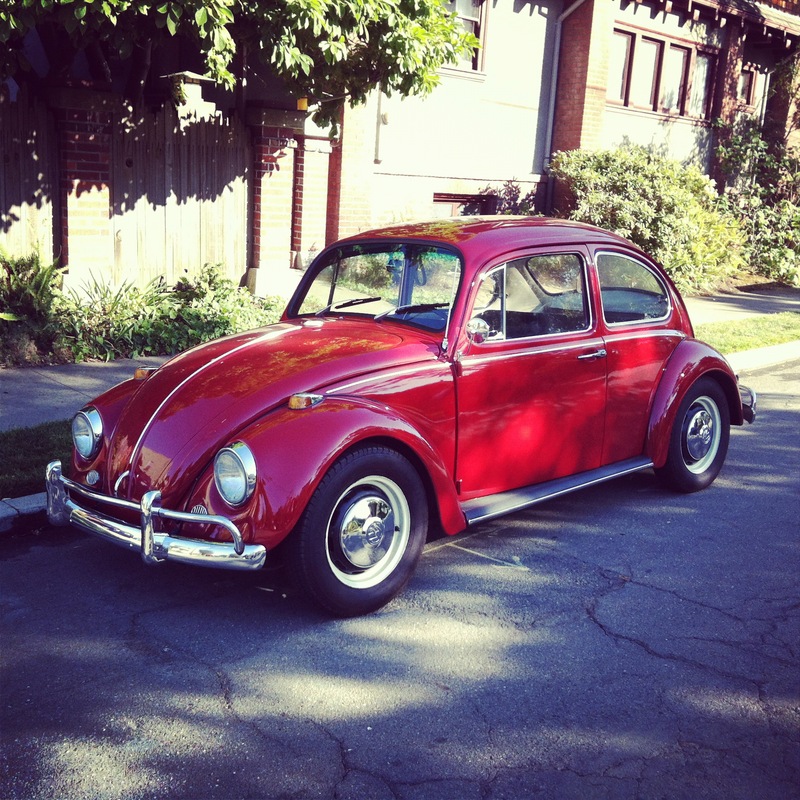 Hello, Wegt2go…I highly recommend that you go to: http://www.thesamba.com This is a Volkswagen only WebSite. Once you are on the Home Page, look across the top and find Classifieds. Place your Cursor on Classifieds. Click on the appropriate year-range for your car. Look at 1968 Beetles to get an idea of pricing. But, perhaps you have a price already decided. Okay.